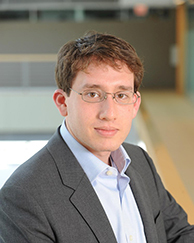 Alexander Frankel studies mechanism design, game theory, and contracting. In addition to researching at Stanford Graduate School of Business and Chicago Booth, he has worked outside of academia at Yahoo! Research. Frankel’s recent papers include “Aligned Delegation,” published in the American Economic Review, and “Suspense and Surprise,”published in the Journal of Political Economy. Frankel earned his BS (mathematics) and BA (economics) from the University of Chicago before pursuing his PhD in economic analysis and policy from the Stanford Graduate School of Business. Mechanism design, repeated games, and contract theory.